OK, you caught us. 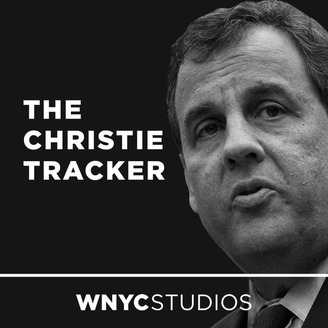 The Christie Tracker Podcast actually wrapped up back in November of 2016 - after the Bridgegate trial of former Christie staffer, Bridget Anne Kelly and former Deputy Executive Director of the Port Authority, Bill Baroni. But because Tuesday, January 16th marks the last day in office for New Jersey Governor Chris Christie, we had to temporarily reemerge. We bribed them with hot coffee and free EZ Pass for a month, so WNYC's Matt Katz and Nancy Solomon came back for one more round on the podcast. They join host David Furst for a last look back on the Gov's two terms in office. Chris Christie dominated the state's political stage like no other. He claims New Jersey is "much, much better than it was eight years ago." But he finishes his term with the lowest approval rating of any governor in state history and may be remembered more for Bridgegate, Beachgate and endorsing Donald Trump than anything else. Matt and Nancy highlight some of the moments that helped shape his legacy. Nancy says, "To me, it's all about how good of a communicator he is and how personable he is... and then all of the ways that he perverted our state government for his own purposes." On this show from November of 2015, we turned back the clock to a time well before the presidential primaries, when Gov. Christie was letting loose with his bold support for a Muslim-American judge. Things get curious. The man who deleted texts during Bridgegate investigation gets offended when Hillary Clinton's emails are erased. Matt picks apart every word of the governor's recent statements. And what does Alice in Wonderland have to do with Chris Christie? All will be explained in this episode from August 26, 2015. If you're with the Gov at a Bruce show, don’t even think about leaving early. Back in October of 2015, Matt explained Christie's Springsteen legendary obsession. 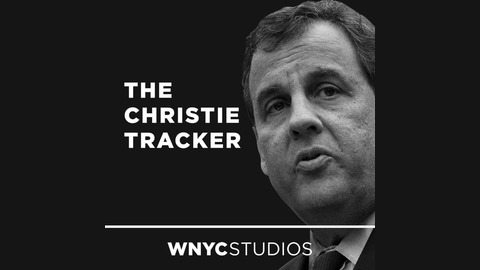 The Christie Tracker Podcast: Bridgegatepalooza!